This clinic advertises abortions up to 36 weeks gestation, despite terrible patient reviews on Yelp (see below). 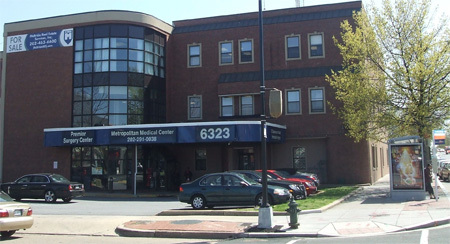 This facility is operated by Steven Chase Brigham and is part of the American Women's Services chain of abortion facilities. 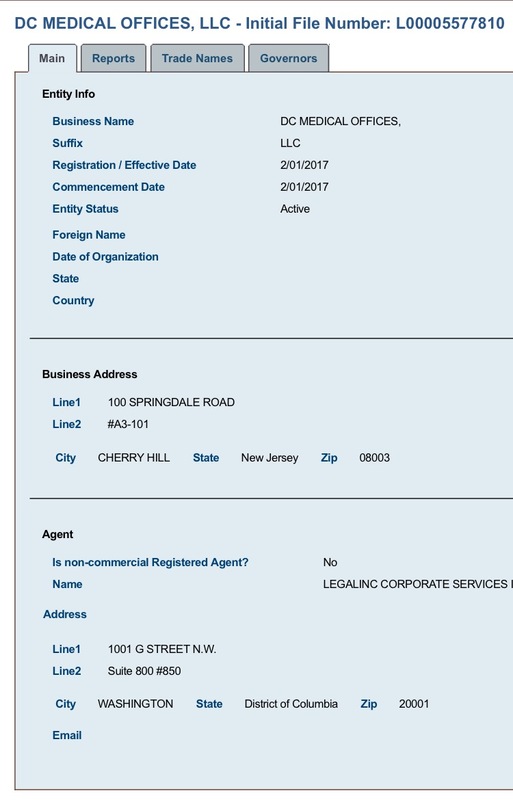 Note: the address for the business listed is a UPS Store in Cherry Hill, New Jersey. Website bio for "Dr. M. Rose," the medical director of Capital Women's Services abortion clinic. NOTE: DR. ROSE HIMSELF IS NOT PICTURED -- instead the website shows a stock photo of a young woman dressed up like a doctor. Feb 1, 2019: Yelp reviews and patient horror stories for Capital Women's Clinic. 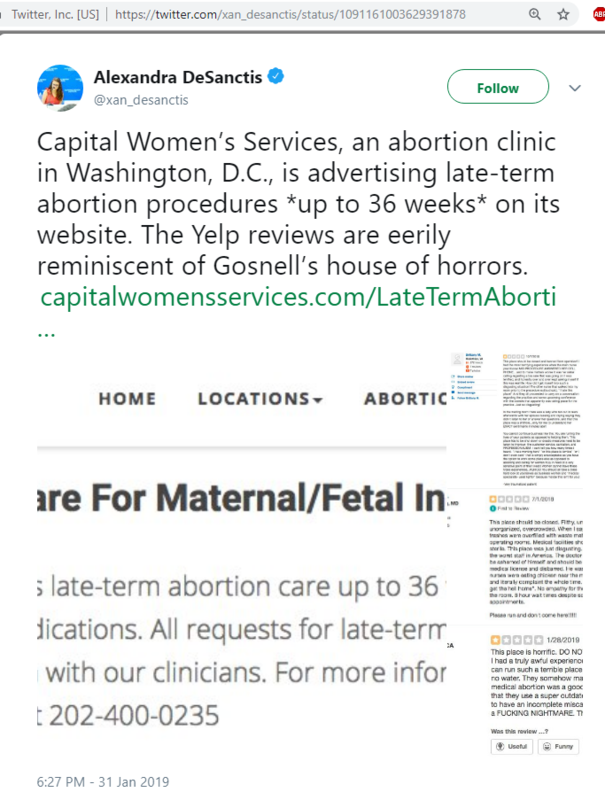 DeSanctis tweet on 36-week abortions at Capital Women's Services; includes screenshots of 1-star Yelp reviews and patient complaints. 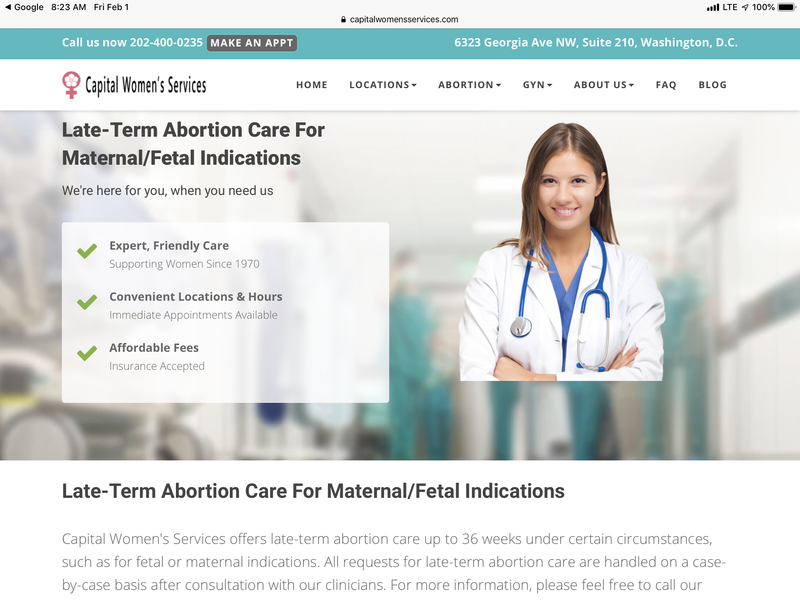 Feb 1, 2019: Capital Women's Services advertises abortions to 36 weeks on their website. Article on Capital Women's Services doing 36-week-gestation abortions.